With all the hype in Hollywood, New Zealand seems to becoming not only a very popular destination and but also a place a lot of people want to know more about. Hopefully even more people will be seeking out New Zealand after 'we' scoop all the Oscars for Lord of the Rings, and if you get the chance do go and see the other New Zealand movie that has people talking: Whale Rider. I guess it is what is popularly referred to as a 'chick flick' but it really is worth watching for seeing the real New Zealand and some of its culture. But for me, it was so nice to watch a movie that had no violence, car chases and foul language in, so check it out! This month then, I am posting recipes for anyone that would like to have a New Zealand themed dinner party. These recipes are for dishes that are quintessentially Kiwi; some are traditional New Zealand recipes, while some are for dishes that while European in origin they are popular dishes here, others still are based on traditional Maori cuisine. If you would like to check out something slightly different when it comes to New Zealand cuisine; on March 13th, a little township close to where I live, Hokitika, will be hosting the annual Wildfood Festival. A celebration of all the foods that can so easily be gathered here on the West Coast of the South Island, Hokitika boasts a population of a mere 3,000 but we will be serving over 18,000 people on that one day. 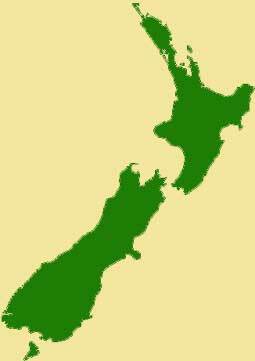 A plethora of people will influx from all over New Zealand and indeed the world for the event. This is the festival that I successfully took to Singapore in the late 90's, check that out at my website <click here> . . . but for the actual festival go to www.wildfoods.co.nz. Next month, I will update you with photos and a column on how it all went. But until then check out all these recipes, Happy St David's Day and have a great month!